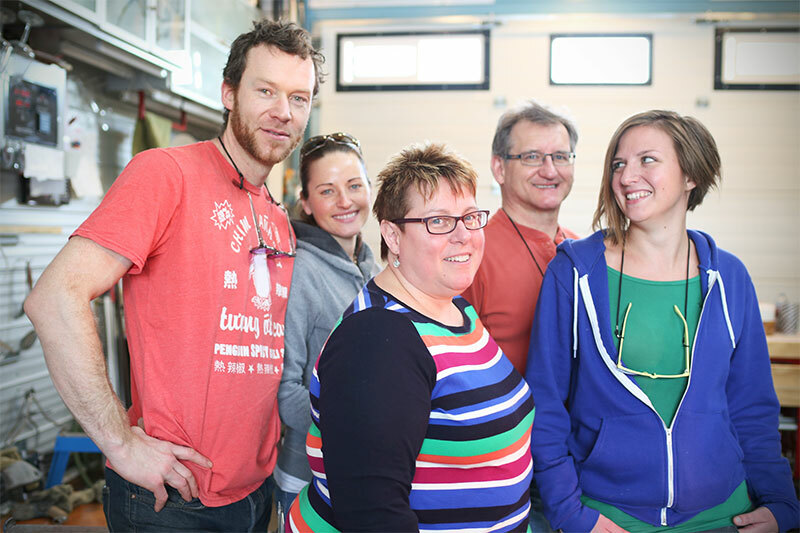 We specialize in corporate awards, teaching introductory glass blowing techniques, and collaborating with local artists. 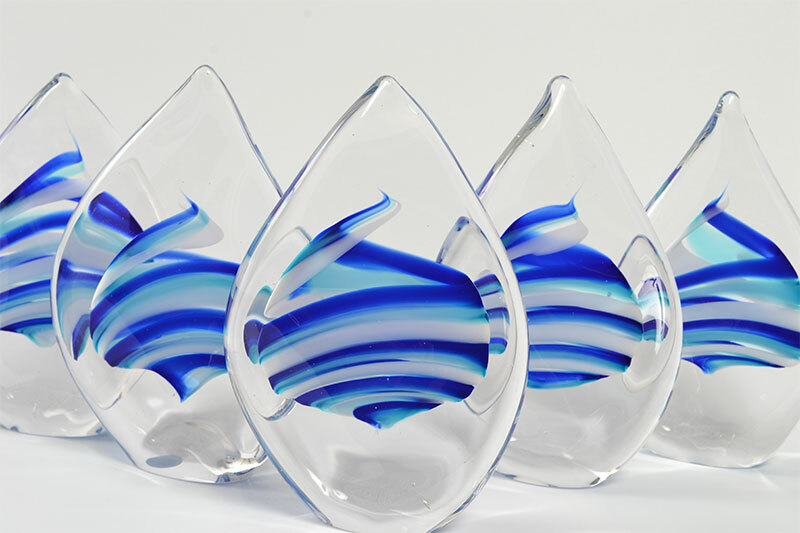 Keith Walker is an Edmonton Glass Artisan who can work with your organization to develop a unique award or gift. Each one-of-a-kind glass piece is carefully sculpted by hand. Colours, engraving, decals, and bases can be tailored to match your brand or corporate identity. Give gifts and awards that inspire timelessness and excellence. 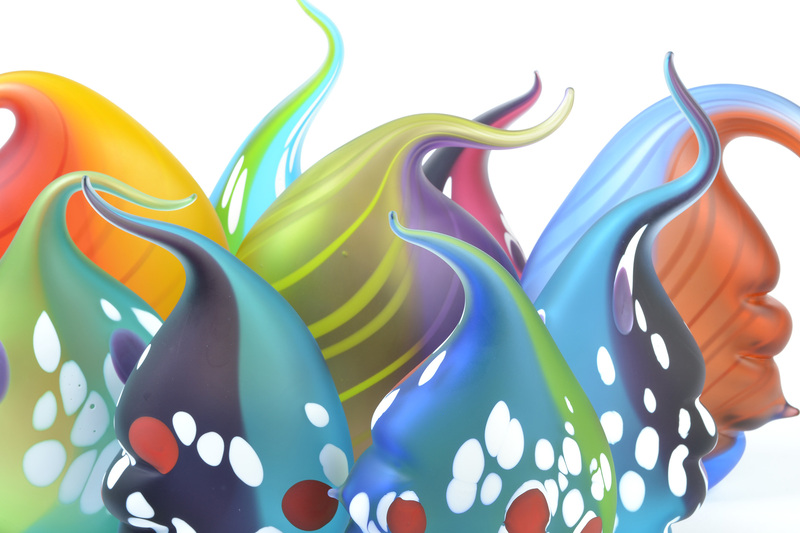 At Blow In The Dark Glassworks students will learn the basics of the glassblowing process. Studio specializes in teaching beginners, classes are small and no experience necessary. Workshops run on the weekends and are offered in 1 day or 2 day intensive sessions. Hand blown glass artisans ready for collaboration with other local artists. Blow in the Dark Glassworks is an Edmonton based Hot Glass Studio. 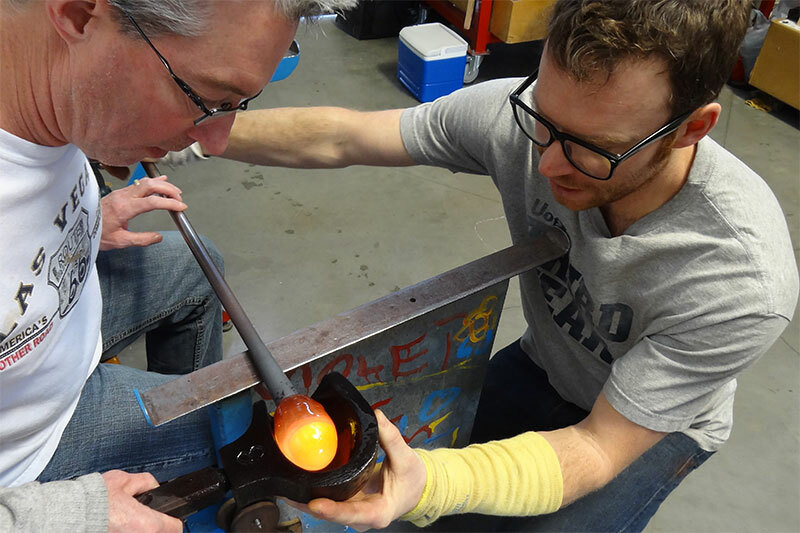 Keith Walker and his assistants create one of a kind glass sculptures, teach beginners on the glassmaking process and collaborate with other local artists on various projects. Inquiries for awards, classes, special projects can be sent to keith@blowinthedark.ca. Sign up if you're interested in glass blowing classes or upcoming events.